For over 20 years, Ferns N Petals is helping you to celebrate your special moments by delivering fresh flowers and fabulous gifts to your loved ones. Ferns N Petals was established in 1994 and flower bouquet delivery was the first and only thing that we were doing. From there on, FNP grew to what it is today including the current gifting options that feature the choicest personalized gifts, cakes, chocolates along with artificial flowers fresh cut flowers and flower basket. From just 1 flower shop in Delhi during 1994, Ferns N Petals is now the largest florist chain with more than 220 stores (and still counting) across all the major cities and towns of India. Along with the widest distribution network, our strong physical & online presence makes us the best choice to send flowers & gifts for deliveries across India and around the globe. The remarkable distribution network of FNP and the sheer number of retail stores that we have, is something no other online florist and gift delivery service in India can boast about and this is one of the biggest factors that differentiates us from the competition. We bank upon the smiles of our 4 million happy customers with the quality of service and consistency of service delivery provided across India and abroad. With your trust invested in our brand, Ferns N Petals is the largest floral and gifting brand in India and abroad. Our master florists expert have quite brilliantly concocted love and emotions together to roll out the best gifts for all occasions. People say that we have gotten 20 years older but our creative think tanks are growing younger with each passing day. Inspired by the current trends, we keep coming up with new floral arrangements & gifts for almost every emotion, celebration and occasion. With our aim to ‘wow’ our customers and delivering smiles, we have added a little something that goes into making every 'delivery' special. We understand the importance of delivering the gifts on time or before time therefore we deliver flowers, flower baskets and other items at the doorstep of your loved ones with lightning speed in the shortest possible time - as fast as 2 Hours of ordering. 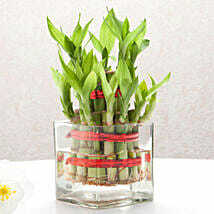 This helps us to deliver fresh flowers every time you order a bouquet. We are committed to exceed your expectations whenever you order for a simple bouquet of flowers or an exquisite flower arrangement of exotic flowers. We understand the surprise element and emotional connection to the order and hence strive hard to deliver it with love and care. 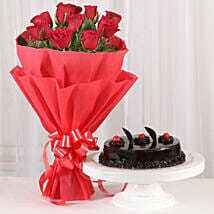 At Ferns N Petals, online flower delivery happens to destinations all over India and abroad. If you are planning to order flowers online and you want the same day delivery of flowers to Delhi or looking for online flower delivery in Mumbai or bouquet delivery in Mumbai by the best florist in Mumbai, Bangalore, Hyderabad or any other city of India, FNP is the ideal choice. Ferns N Petals is the only online flower shop that has a real florist network across India that actually differentiates us from other so-called online florists who work with third party florists for their deliveries. The presence of flowers is enough to make any occasion or moment truly a memorable affair. Flowers can make an ordinary room extremely beautiful. 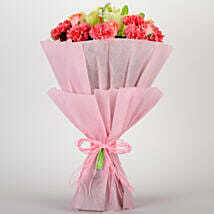 Flowers are widely used in decorations, as gifts, or even as ornaments on various dresses. People can explore a variety of fresh vibrant flowers such as roses, tulips, orchids, carnations, sunflowers, chrysanthemums and a lot more through the help of our online gifting store. 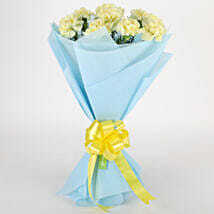 All these beautiful flowers will be delivered at your desired destination in blooming condition only. With an unmatched beauty and fragrance, these gorgeous and lovely flowers can easily mesmerise any individual in an effortless manner. 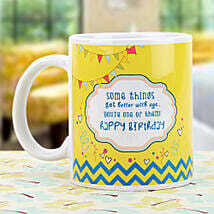 Undoubtedly, a birthday is the most important day in anyone’s life. All the great stories, journey, and adventures started due to this auspicious day. This is a day that is marked with great excitement and gifts form a major part of this occasion. A cake forms the most important part of a birthday celebration. So, if you want to send a lovely “Happy Birthday” wish to your best friend or close relative, you cannot ignore the wonderful birthday cakes. 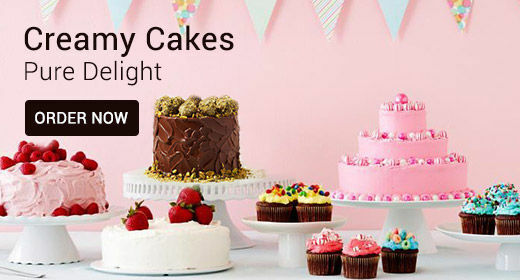 Unleash a delicious world of cream cakes, fondant cakes, semi-fondant cakes, tier cakes, designer cakes, and photo cakes only at Ferns N Petals. These cakes are available in a variety of flavors like chocolate, vanilla, butterscotch, mango, strawberry, red velvet, white forest, coffee, tiramisu, etc. You can opt for a midnight delivery of cake to your sweetheart’s doorstep and shower immense love, care, and affection which he/she would remember forever. Life is all about these happy moments where you live a little more. 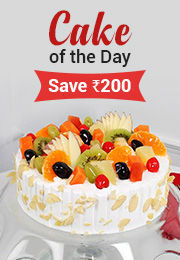 So, opt for these mesmerizing cakes as birthday gifts for your loved ones and enhance the bank of great memories. Whenever you think about flowers, for most of us, Roses pop in our heads and we imagine a floral arrangement consisting of roses. And rightly so, Roses are the top selling cut flowers at Ferns N Petals in India and abroad because of the sheer popularity they carry. However apart from roses, we also deliver a wide variety of cut flowers viz., Lilies (second most popular flower at Ferns N Petals after roses), Carnations, Orchids, Gerberas, Daisies and other seasonal cut flowers & imported cut flowers like Tulips. 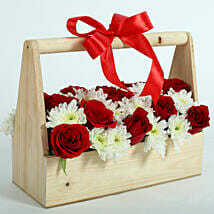 All the fresh cut flowers are delivered fresh to the customers in the form and design that they request. 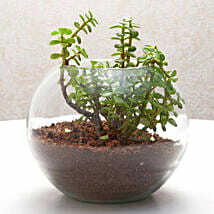 We have the cut flowers in wide variety of forms and designs including bouquets & bunches, flower arrangements, etc. When it comes to flower bouquets, they are available in different designs & wrappings including cello & colorful paper wrappings. At Ferns N Petals, we discourage people from ordering cello wrapped bouquets because they are not environment-friendly. When it comes to flower arrangements, they are available as vase arrangements, basket arrangements potted arrangements or boxed arrangements while each of these containers also are available in wide variety of colors & designs to suit varied requirements of our customers. While Ferns N Petals is the largest florist chain in India for over 2 decades now, it has stepped into gifting beyond flowers and now dominates the gifting industry in India. Ferns N Petals has now gone beyond just being a florist and is undertaking online cake delivery and also catering to beyond the floral gifting needs on special occasions – whether it is Valentine gifts, Rakhi Gifts for Raksha Bandhan, Mother's Day, Diwali or Bhai Dooj. 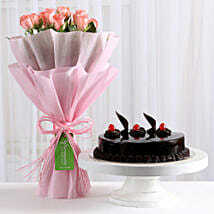 Sending flowers and gifts with the Ferns N Petals is now just a click away. With our services, you can also send flowers to India from USA, or from other countries viz: UK, Australia or from any part of the world within a short time of just 2 Hours of ordering either on the website, android mobile app, iOS app and over the phone. At Ferns N Petals, we know that we are delivering emotions to the loved ones and also understand that timely delivery is a must in making those moments memorable. 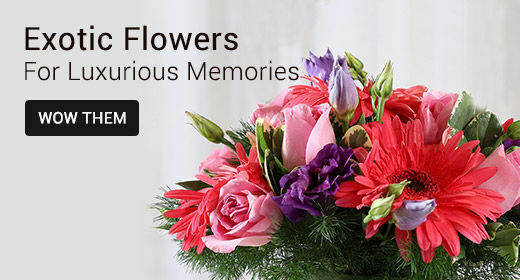 We go all the way to make sure that when you buy flowers online from Ferns N Petals, they are delivered on time, that you choose upon checkout. We also provide custom delivery services such as midnight delivery and also take up fixed time delivery besides the same day flower delivery for all occasions. You can send flowers to Mumbai, gifts to Delhi, Mumbai, Bangalore, Kolkata and other cities & town across India and worldwide. 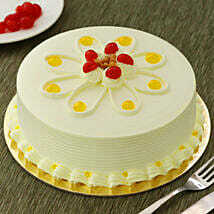 Gifts constitute a large part of all our happy festivals and occasions. Ferns N Petals is the number online gift portal where you will find a large collection of gifts for both men and women and for every special day in your life. To impress the pretty and precious girls/women in your life, you can explore our amazing range of flower bouquets, chocolate baskets, designer cakes, spa materials, cosmetics hamper, jewelry items, handbags, soft toys, etc. While as gifts for men, we have the smart combo of belt & wallet, combo of personalized mugs & chocolates, basket or tray of dry fruits, personalized mobile phone covers, personalized lamp, sunglasses, grooming kit consisting of beard oil, face wash, and shampoo, etc. As our services are available in more than 400 locations in India, you can enjoy a hassle-free delivery of these gifts for men or women using our same-day, midnight, & next day delivery services. Spread more love & happiness among your loved ones using the great gifts and services of Ferns N Petals. 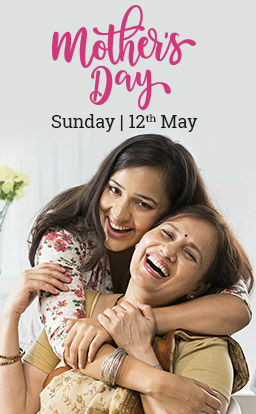 Mother's Day in India is celebrated on 2nd Sunday of May and this year it is on 12th May 2019. This day is dedicated to all the moms whose only objective in life is to enhance the happiness of her children. To pay a tribute to the undying spirit & selfless love of moms, Ferns N Petals brings to you an amazing collection of mother's day gifts. From personalized wooden plaques or photo frames to refreshing plants, an assortment of dark chocolates to hamper of cosmetics, jewelry gifts to a combo of flowers & cakes – there are many spectacular gift ideas here. 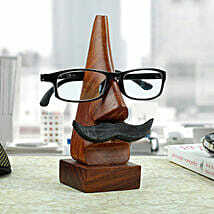 So, to agreet your mom anywhere in India, you simply have to log in to our website and place an order. You can send mother's day gifts to 400+ locations across India using our same-day or next day delivery services. So, be it Delhi, Mumbai, Bengaluru, Chennai, Hyderabad, Aurangabad, Agra, Jaipur, or Kolkata – Ferns N Petals would be there to make this day an unforgettable one! Make your mom feel special by sending inspirational & emotional mother's day quotes & messages. 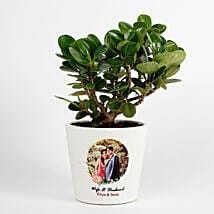 Ferns N Petals is the name of trust among millions of customers scattered all over India and abroad. With an innovative and classic gift ideas pertaining to all kinds of festivals and occasions – Ferns N Petals is generally the number one choice among people. This trust that the customers have on us makes us work harder and achieve new goals every day. So, you would experience a world-class delivery service and premium quality of products over here. We are never late when it comes to delivery of gifts to your loved ones. You can thus experience a super-fast express, same-day, midnight, next day, and standard time & 2-hour delivery services in India. In India, we cater to more than 400 locations that include the megacities, big towns, and small villages. So, you can end your love to places like Mumbai, Delhi, Bengaluru, Kolkata, Jharsuguda, Bhopal, Kota, Udaipur, Meerut, etc. Similarly, our services are also available worldwide in 170 countries and we offer our same-day, next day, standard time delivery services to send gifts abroad. 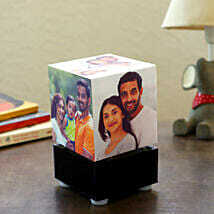 It is a very common thing in most households in India that one or two members of the family are settled abroad. These NRI friends and relatives are unable to attend all kind of festivals and occasions back home for the obvious geographical distance and the heavy expense incurred on travel. But you should not worry much because we are here to let this distance mitigate with our amazing international delivery services. If your loved one is seated in New York or New Jersey in USA, London in UK, Dubai, Sharjah or Abu Dhabi in UAE, you can get gifts like flowers, cakes, and other hampers internationally with a single click. We have our serviceability in almost all happening metro cities of the world and thus reaching your distant people would be really easy for us. There has been a mass migration of Indians abroad, especially Canada for the last two decades and to wish your best friend settled there, send gifts to Canada from India. 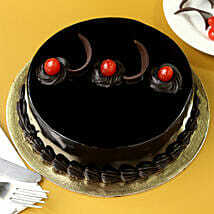 All occasion specific gifts are available here in our portal. 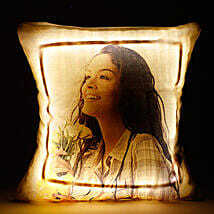 We would pack your emotions of love carefully and surprise your loved ones scattered across the globe. Suppose you want to surprise your sweetheart seated away from you in Sydney or Perth of Australia on her birthday or on anniversary, the easiest way is to opt for our online gift delivery. wide variety of fresh flowers, cakes, chocolates, and personalized gift items to delight your darling in a breath-taking manner. 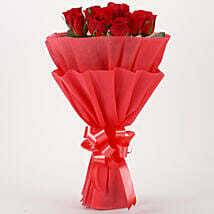 With same day flower delivery in USA, UK, Canada, UAE, etc. 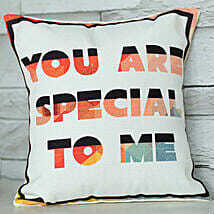 you can instantly show your love to your better half. This is the best measure when you have to say a sorry or thank that person. 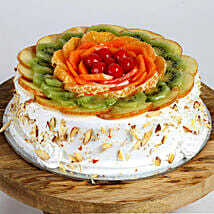 Not only USA or UK, but, Ferns N Petals is now catering to more places. So, you can get the next day gift, flower and cake delivery in other countries like Singapore, Australia, Germany, and Philippines and continue celebrating your special festival. Out of all kind of gifts we have, you would also believe that a flower is the most beautiful one. The amazing fragrance and the captivating look generally takes your breath away and when it come sot expression of true and deep love, there cannot be anything as alluring as a flower. 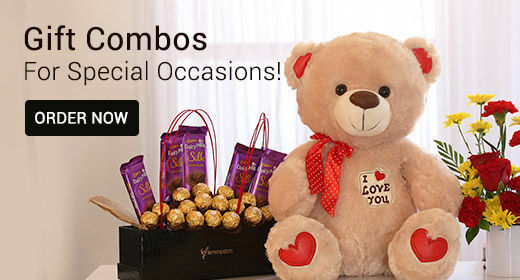 Get the flower delivery in Singapore or any other place where your sweetheart resides and celebrate love.